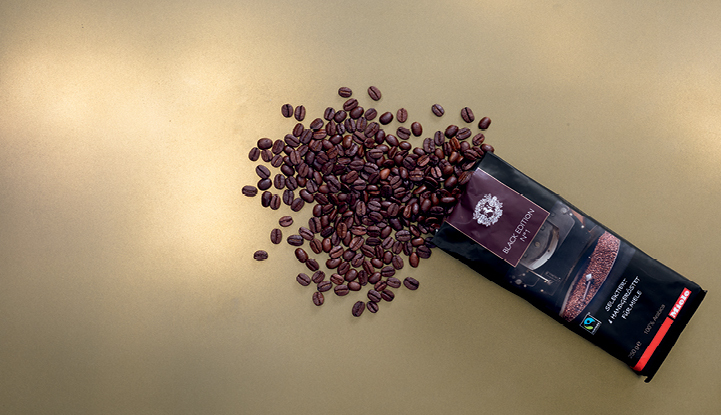 For a limited time, receive 4 complimentary bags of Black Edition N°1 coffee beans with any built-in or countertop coffee machine purchased between March 1st, 2019 and May 31st, 2019. Voucher Redemption – it’s so easy! Purchase a built-in or countertop coffee machine and receive a voucher. Redeem your complimentary bags of coffee and register your coffee machine all at the same time. 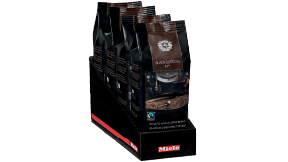 (1) This promotional offer (the “Promotion”) from Miele, Inc., a Delaware corporation (“Miele”), provides a complimentary four (4) bags of Miele BlackEdition No°1 whole coffee beans with an approximate retail value $43.96 the “Giveaway”), when you purchase any Miele® CM or CVA line of coffee makers (the “Purchased Appliance”). (2) After purchase of the Purchased Appliance, the complimentary set of the Giveaway will be drop-shipped to the customer by or on behalf of Miele upon completion of the steps in rule 8. (3) The Promotion may be suspended or discontinued when the supply of the Giveaways in Miele’s possession shall have been exhausted for whatever reason. (4) Only end users (customers) may benefit from the Promotion. The Promotion shall not apply to wholesale buyers or any person or legal entity who offers for resale, or resells, the Purchased Appliance; in connection with such transactions or purchases, the Promotion shall automatically be void. (5) The Promotion may be combined with any other offers, special or discounted pricing, or promotions, in each case only at participating authorized Miele dealers. (7) The Promotion shall not be applied at the time of purchase of the Purchased Appliance. To receive and qualify for the Promotion, the retail end user shall register his or her Purchased Appliance through Miele. (8) All Promotion claims shall be submitted online using the Purchased Appliance’s serial number at https://www.mielestore.com/promos/coffeebeans on or before August 31, 2019; please allow 6-8 weeks for processing and issuance of the Promotion. Please make sure to retain original documents relating to the Purchased Appliance and to your submissions regarding the Promotion. (9) To qualify for the Promotion, the Purchased Appliance must be (a) ordered in person at the store of an authorized Miele dealer, or (b) purchased online through an authorized Miele dealer during the Promotion period from March 1, 2019 through and including May 31, 2019 (the “Promotion Period”). (10) Purchases made on or before March 3, 2019 shall not qualify for the Promotion. Purchases made on or before March 3, 2019, and subsequently cancelled and reissued during the Promotion Period shall not qualify for the Promotion. Purchases made during the Promotion Period and subsequently cancelled and reissued after the Promotion Period shall not qualify for the Promotion. (11) In the event any of the Purchased Appliances are returned to Miele or a Miele dealer after the Giveaway shall have been shipped, the Promotion shall be forfeited and the customer will be charged of the retail value of the Giveaway, plus the shipping charges incurred by Miele. (12) The end user (customer) shall be eighteen (18) years or older. (13) The Promotion shall be voidable at any time at Miele’s discretion if the end user (customer) shall not produce a valid order invoice and valid proof of payment, or if the end user (customer) shall otherwise violate the applicable rules. (14) No substitutions shall be allowed. (16) The Promotion is only available to residents of the fifty (50) states of the United States of America and the District of Columbia. The Promotion is not valid for residents of Puerto Rico, the U.S. Virgin Islands and any other territories or possessions of the United States of America. (17) Any misrepresentation or bad faith by the person placing the order, whether innocent or fraudulent, shall disqualify him or her from the Promotion and further promotions offered by Miele; Miele reserves its right to refer such person for civil and/or criminal prosecution. (18) In no event shall Miele be liable for more than the amount of the Promotion. (19) Miele may amend or discontinue the Promotion at any time with or without notice, including after an order is placed. (20) The above terms and conditions are severable and, if one or more provisions shall not be valid under applicable law, the remainder shall be enforceable to the maximum extent permitted by applicable law.